Reggae outfit The Green released its latest full-length studio recording last week. The Hawaiian-sextet’s new 15-song, hour-long record Black & White is one of the most welcome surprises from the reggae realm so far this year. According to the band’s own members – Caleb Keolanui (vocals), Ikaika Antone (keyboards, lead vocals), JP Kennedy (guitar, lead vocals), Zion Thompson (guitar, lead vocals), Brad “BW” Watanabe (bass, vocals) and Jordan Espinoza (drums) – the album’s title is a reflection of the band’s minimalist approach to the record. That simplistic approach to the album’s musical content is just one of the album’s most important elements. Its lyrical themes couple with its musical content to add even more interest to its whole. Together, they do plenty to make the album appealing from start to finish. That is evidenced early on in the form of ‘Good Vibrations.’ It will be discussed shortly. ‘Wake Up,’ which comes later in the album’s run, is another way in which the album proves itself a surprisingly enjoyable offering from The Green. It will be addressed a little later. ‘Chocolate & Roses,’ which comes just past the album’s halfway mark, is yet another example of what makes Black & White stand out in this year’s reggae realm. It will also be addressed a little later on. When it is considered along with the two other songs noted here and the album’s remaining dozen songs, the whole of the record becomes a piece that is one of this year’s top new reggae records. 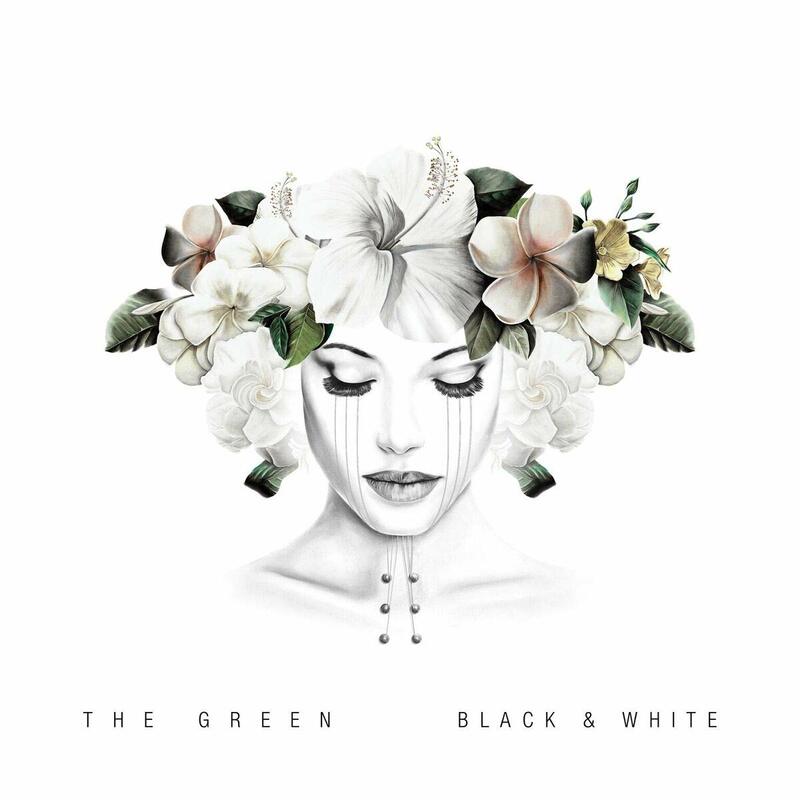 The Green’s new full-length studio recording Black & White is a strong new effort from the Hawaiian reggae band that will appeal to fans of performers, such as Jack Johnson, Jason Mraz and Gabby Pahinui. That is evidenced through the minimalist approach taken by the band to the album both musically and lyrically. One of the songs that serves to support that statement comes early on in the album’s run in the form of ‘Good Vibration.’ ‘Good Vibration’ opens with the band’s members singing a capella before bringing in a steady mid-tempo guitar riff that couples with a steady beat on the timbales from Espinoza. As the song progresses, the rest of the band joins in, creating a three-part harmony that creates a positive, easy-going vibe that translates quite well to listeners. That simple musical approach makes the song’s equally uplifting lyrical content to make the song in whole one of the record’s strongest additions. Keolanui sings in the song’s lead verse, “I’ve been traveling for so long now, you know/Around these islands/Just to show/With a good meditation/Can cause a good vibration/Turn a bad situation/Into a fine afternoon.” He goes on to sing in the song’s second verse, “So listen up, listen up/’Cause we’re gonna fill your cup/’Cause we like/The joy that it brings us/And yes, we take it everywhere that we go/To people we’ll throw/These big love grenades/And we’re on target almost every time…no we don’t care about things that bring us down/And we gotta let you know/That I’ve got that good vibration.” Keloanui continues in the song’s final verse just as positive, stating he just wants positivity for others, encouraging support for others. There really is no grey area here. It is all…well…black and white. The message is one of optimism and hope, and it is delivered with total clarity. That positive message, coupled with the song’s equally uplifting musical arrangement, is certain to achieve its goal of empowering listeners and lifting them up. That clear, simple message and equally simple, accessible musical arrangement makes the song in whole a clear example of what makes Black & White a strong new entry in this year’s reggae field. It is just one of the album’s standout entries. ‘Wake Up,’ which comes later in the album’s run, is another positive addition to the album. ‘Wake Up’ stands out because its arrangement is another surprisingly enjoyable non-traditional reggae work. The arrangement opens with an easygoing bluesy guitar riff that couples with Watanabe’s bass to form a solid foundation for the song. Once Keolanui and the rest of the band joins in, the arrangement develops a slightly more traditional reggae sound that still is balanced well with that early bluesy sound. The two sounds together create a unique sound that stands solidly on its own merits. The positive vibes that the arrangement establishes in listeners’ minds is made even more encouraging by the song’s uplifting lyrical theme. It is a theme that even the most devout Christians will appreciate. Keolanui sings in the song’s lead verse, “As your times start to get rough/And you fear you’re losing love/It’s ‘cause you never took the time to trouble/The one and only man above/My friend, God.” From there, he and his band mates sing in the song’s chorus, “You gotta wake up, brother/Open your eyes/You gotta wake up/It’s time you realize.” The second verse continues in similar fashion, with Keolanui singing about a person spending so much time drinking and smoking, doing negative things, yet wondering why things are going badly. He reminds people about having faith in God to make things better. Again, the message is clear, even if some of the lyrics are not so clear without a lyrics sheet. The message is clear enough that it is obvious what is being discussed in this case. Keeping that in mind along with the subtleties of the song’s arrangement, the whole becomes a song that will appeal even to people who might not necessarily be the most devoted reggae fans. When it is considered along with ‘Good Vibration,’ the optimism of both songs shows even more clearly just how much Black & White has to offer listeners. It is still not the last of the album’s most notable entries. ‘Chocolate & Roses,’ which comes just past the album’s midway point, is one more example of the album’s strength. ‘Chocolate & Roses’ stands out musically from its counterparts already discussed here as they do from each other and the rest of the album’s works in terms of its musical arrangement. This song’s arrangement presents some of the strongest comparisons to Jack Johnson and Jason Mraz that the album exhibits. 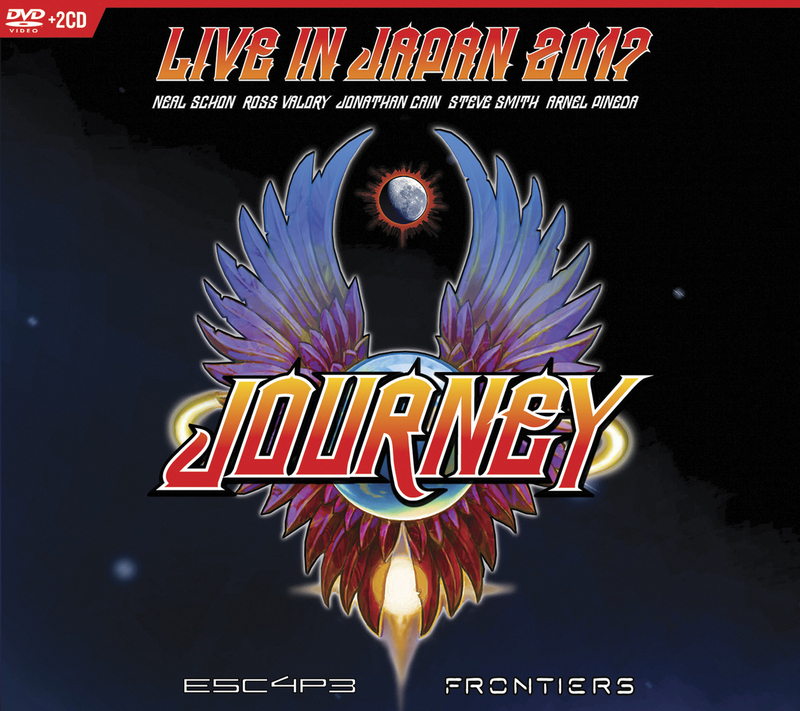 It is a simple, laid back work that utilizes Keolanui’s vocals, Espinoza’s work on the bongos, Watanabe’s bass work and a steady, easygoing, tropical guitar riff to create a whole that is one of the album’s most memorable arrangements. With summer only around the corner, one could imagine this playing during a couple’s romantic getaway at the beach. Of course, as with the other songs noted here – and the rest of the album’s songs – that impressive musical arrangement is just one part of what makes the song work. Its lyrical content is just as notable as its musical arrangement. Keolanui sings in the song’s lead verse, “Fireworks going off on a new year’s day/Like a dozen roses on the fourteenth of February, yeah/Like a beautiful day in the start of spring/Like an April fool I watch the smile it brings/I’m all you need girl/I’m all you need/Like chocolate and roses…are all you need.” He continues in the song’s second verse, “Like a cloudy day in May/I’ll be there/Like the sun, it shines on a summer day/Like a chocolate pie on the fourth of July/Like a cool breeze on an August night/I’m all you need.” The similes don’t end here, with more refrains of the chorus and even more in the song’s third verse that are just as simplistic. That simplistic approach to the song’s message once again leave no doubt about what’s being said. This is a love song, and one that with the right support, could be the love song of this summer. It, along with the other two songs noted here – and the rest of the album’s works – could be one of the year’s biggest surprises from the reggae realm with that same support. PBS Distribution will release another new collection of Ready Jet Go! Episodes next month on DVD. The new collection, Chasing The Sun, is set for release April 9. 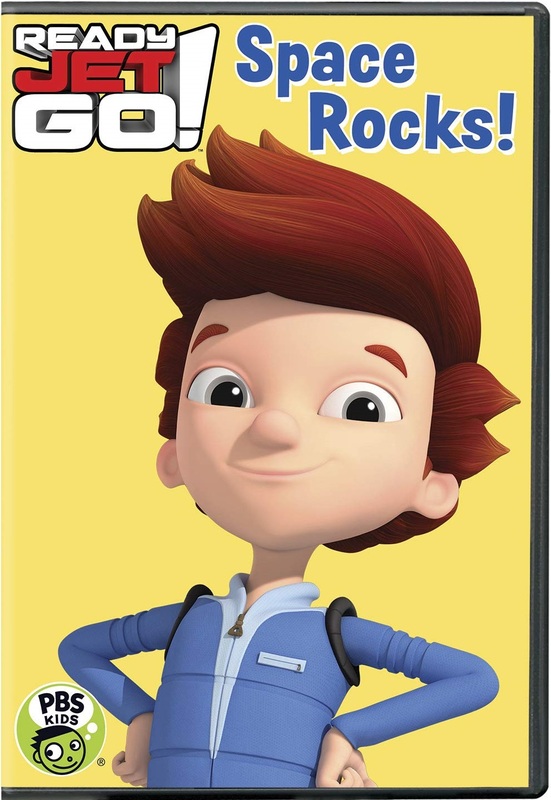 While audiences wait for the DVD’s release, they have another collection of episodes from the hit series in the form of Ready Jet Go! : Space Rocks. Released this past January, the DVD features four episodes from the series’ first season that will both entertain and educate audiences of all ages. Those episodes are themselves are just one of a group of reasons for any family to own this DVD. The episodes’ secondary content plays its own critical role in the DVD’s presentation. It will be discussed a little later. When the DVD’s primary and secondary content is coupled with the DVD’s average price point, the whole of the single-disc presentation makes the collection a (space) rocking – yes, that awful pun was intentional – collection that the whole family will enjoy. PBS Distribution’s new Ready Jet Go! DVD, Space Rocks is a collection that space enthusiasts of all ages will enjoy. That is due in part to the episodes featured in the DVD and their primary content. All four of the episodes featured in this latest RJG compilation are lifted from the series’ debut season, and are presented in exactly the same chronological order in which they were originally aired on television. This is good in itself in that it means nothing is left out as audiences watch. Instead of jumping around from one point to another, audiences can feel as if they are watching it on television instead of on DVD. It’s a minor aesthetic element, sure, but in the bigger picture, that element goes a long way toward the DVD’s presentation. The actual primary content presented in the episodes is just as important to note of the episodes as their sequencing. Audiences of all ages will enjoy the lessons about the changing forms of space rocks in “Asteroids, Meteors and Meteorites” and the lessons about the compositions of meteorites and comets in the episodes. Older audiences will enjoy the lessons because, honestly, plenty of adults forget the specifics of the noted topics very easily. So for adults, the lessons would be learned for the first time again while for younger viewers, the lessons will be just as fresh, learning them for the first time ever. As if this is not enough, the lessons tie into one another from the first to the last. First is the lesson about the different terms used to classify space rocks as they make their way toward and onto Earth. From there, audiences learn how to determine an average Earth rock from a space rock in terms of its composition and characteristics. Immediately after that episode, audiences are taught about the composition of comets, which themselves are space rocks. From there, Jet and his friends create their own asteroid patrol, a smaller version of what NASA already does. They are then introduced to what the said scientists do every single day. Again, older audiences will enjoy learning facts that they likely forgot over the years while younger viewers will enjoy just as much, learning those same lessons for the first time. It makes for an enjoyable time for the whole family. That is more than enough reason for audiences to check out this DVD, but most definitely not the only reason. The secondary lessons incorporated into the episodes add even more reason for audiences to view the DVD. Audiences learn how to make their own homemade comet in the secondary lesson in “Comet Fever.” “Mindy’s Meteorite Stand” uses the lesson of how to tell the difference in an Earth and space rock as its primary AND secondary lesson. The use of the magnets plays into the traits that determine if a rock is from space or Earth. This is the starting point for families and even teachers to do their own lesson about how to spot Earth rocks and space rocks. “Asteroid Patrol” helps viewers of all ages learn where to look for asteroids in the sky and what to look for. Simply put, the lessons presented in each episode are just as valuable as the primary content because they take the information presented in the primary lessons and use them to continue that learning first hand. When the two lessons are coupled, they give audiences more than enough to appreciate. Keeping that in mind, the DVD’s average price point proves to be money well-spent. The average price point of Ready Jet Go! : Space Rocks is $5.17. That price is obtained by averaging prices from PBS’ online store, from Target, Best Buy, Walmart, Amazon, Barnes & Noble Booksellers and Books-A-Million. 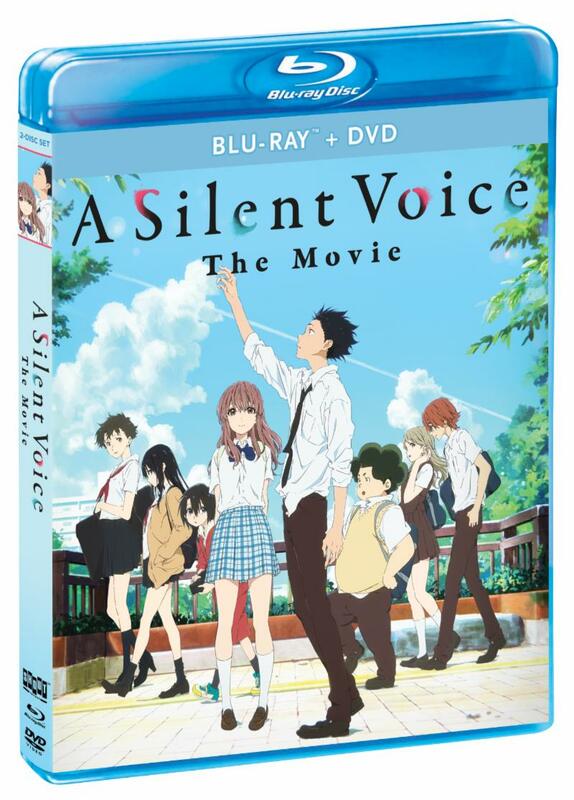 The least expensive listing at the time of this review is at Amazon, Best Buy and Walmart at $4.79. The most expensive listing is at Books-A-Million and PBS’ online store. Whether one purchases the DVD at the low end or high, neither price is very high. Purchasing the DVD will not break any family’s budget, and will be enjoyed plenty of times at that one-time price. Considering all that the DVD offers, that makes the disc’s average price point quite affordable. Keeping everything in mind here, the DVD in whole proves itself a positive addition to any family’s home DVD library. Hyro The Hero has announced a new slate of live dates. The rap-rock artist announced a new jam-packed summer tour schedule on Wednesday. The three-month-long-plus tour schedule is set to launch May 3 in Jacksonville, Fla and to run through Aug. 25 in Brooklyn, NY. The tour will feature performances at the Epicenter Festival in Rockingham, NC, Dreamhack Dallas Convention and Rocklahoma festival as well as performances in cities nationwide. The tour’s current schedule is noted below. 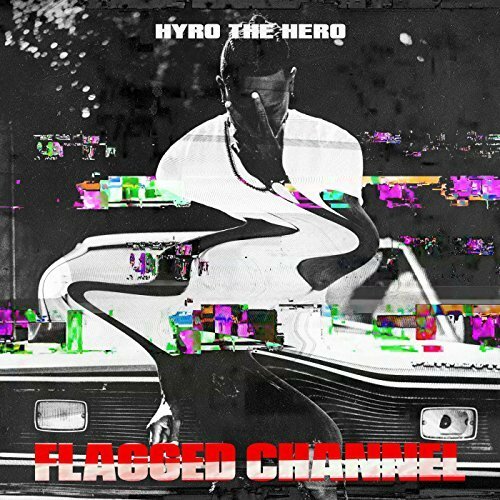 Hyro The Hero’s upcoming tour schedule is in support of his most recent full-length studio recording Flagged Channel. The album was released Aug. 31, 2018 on Century Media Records/Red Music. The album has spawned the singles ‘Never Back Down,’ ‘Bullet‘ and ‘Live Your F**** Life‘ since its release. Set It Off announced its summer tour schedule this week. The band announced on Monday, that just as the weather warms up, so will its tour schedule. The band will launch the tour, which runs a little more than a month, is scheduled to launch June 11 in Colorado Springs, CO and to run through July 20 in Mountainview, CA. The tour’s schedule features performances in cities, such as Poughkeepsie, NY; Charlotte, NC and Milwaukee, WI. Its schedule is noted below. 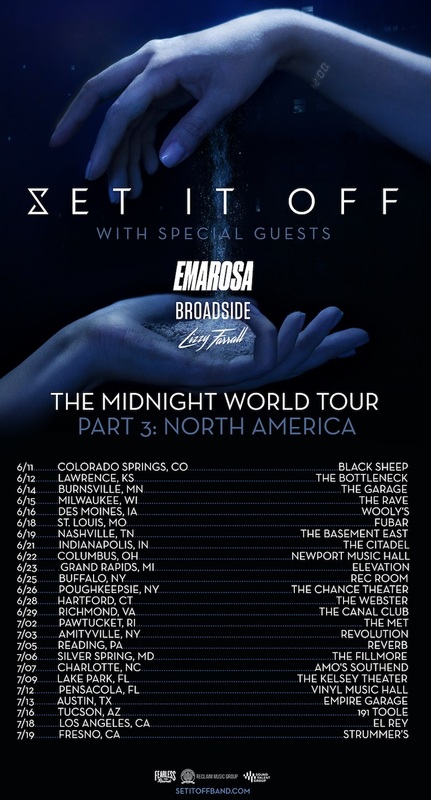 Set It Off’s upcoming summer tour schedule is in support of its latest album Midnight, which was released Feb. 1. The album spawned the singles ‘Midnight Thoughts,’ ‘For You Forever, ‘Dancing With The Devil,’ ‘Lonely Dance‘ and ‘Killer in the Mirror.’ Midnight‘s full track listing is noted below. 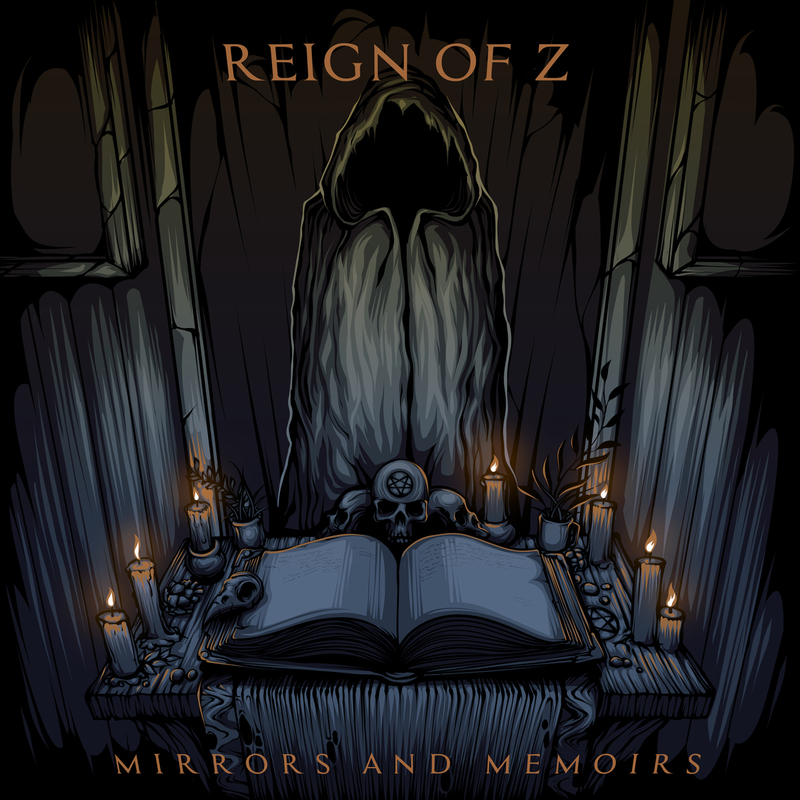 Alt-rock metal band Reign of Z debuted the video for its latest single this week. The band debuted the video for its single ‘Reflections’ on Tuesday via PureGrainAudio.com and YouTube. The single is taken from the band’s debut EP Mirrors and Memoirs. The record, produced by Steve Sopchak (Ice Nine Kills), is scheduled for April 19. Vocalist Zosia West talked about the EP in a recent interview. The video for the new song presents vocalist Zosia West being restrained on a table by her band mates — Steven Lords (guitar), Zach Cunningham (guitar) and Stephen Berg (bass) — as she struggles to be released. Meanwhile, her band mates work to hold her back so that an unidentified fluid can be pumped into her. That footage is crossed with footage of the band performing its new single against a darkly lit backdrop. Musically, the song’s arrangement lends itself to thoughts of Halestorm, Amy Lee and even Otep to a slightly lesser degree. Lyrically, the song comes across as a commentary about an emotional battle that West at one time fought with herself. ‘Reflections’ can be purchased now via Spotify, Apple Music and Amazon.